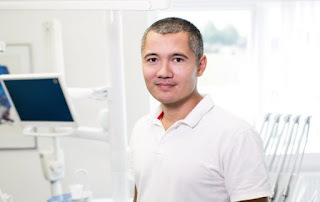 Home / Health and wellness / Healthy living / How Your Dentist Can Save Your Heart? How Your Dentist Can Save Your Heart? Poor oral hygiene could risk your heart health! Many studies have proved how not taking proper oral care could hurt your heart a great deal. This may not sound a warning signal to many but don’t take it lightly, as you just can’t ignore the health of your teeth and gums. If you did, it might have some serious repercussions on your overall health. If you still think that poor oral hygiene can only make your smile dull and ruin facial aesthetics, it’s time you smelled the coffee, saw the bigger picture and consulted the dentist. There is a strong connection between your oral hygiene and heart disease. And this is something you just can’t ignore. There are several dental problems that have a negative impact on your heart. And most of them originate from poor oral care. In fact, lack of brushing, flossing, tongue cleaning on a daily basis could push your health down a lot. So, be better prepared! Did you know that those who need a root canal are nearly three times more prone to acute coronary syndrome? Well, this means there will be triple the risk of clogging of the heart arteries that can cause a heart attack. Clearly, you must never leave a cavity left untreated else it might worsen leading to deep decay. Root canal is needed in cases where someone develops a root tip infection either in the pulp or in the tissue of the tooth’s center. If you have tooth infection, there is always a possibility of the bacteria spreading to other parts of the body. So, naturally, the bacteria can reach to your heart and cause infection. This level of infection might turn serious in cases where someone’s heart is already damaged due to heart disease. The bacteria from tooth infection is also very harmful to those with no history of heart problems. In such cases, the body often reacts to the bacteria and tries to fight it off by initiating inflammation in the system. And you should know that too much inflammation is often associated with the development of plaque in the blood vessels and arteries. Which can damage the heart a lot. Not taking proper oral care may lead to dental problems where most of them involve bacterial growth in oral cavity. With bacteria, there is always a chance of body producing inflammation. This can this create blood clots which is often responsible for stroke or heart attack. There are no symptoms of root tip infection. People who suffer from it can’t feel pain. This problem can’t be spotted unless an x-ray is done upon the patient. This is why you should visit the dentist at least once every 6 months and get cleanings and examinations. Only then can you expect tooth decay problems to be spotted early and right treatment be started to minimize heart problems. Even if you have got done dental implants Manhattan, you should still ask the dentist about right techniques of brushing and flossing. The same holds true for fillings and gum treatments. After all, unless you know the right way to brush and clean between the teeth, your oral health can never reach an optimum state for sure.